In the production of Marlin vodka, white coral sand from the Spratly archipelago, which is located at the intersection of the Pacific and Indian Oceans, is used to clean the product. Coral sand is loaded into columns through which vodka is filtered by gravity. 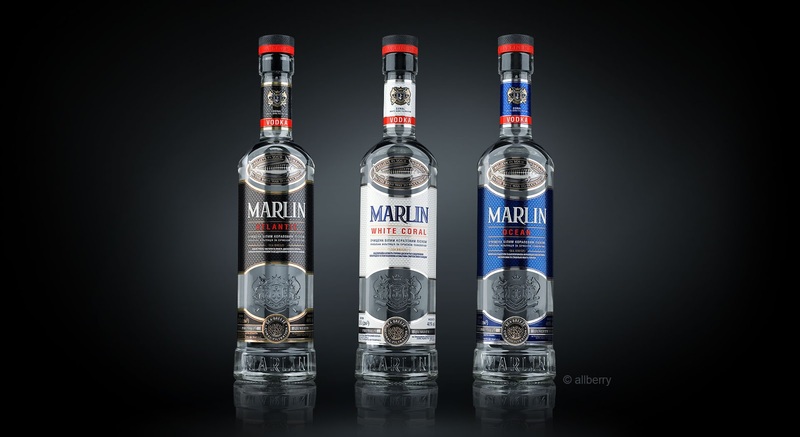 Cleaning with coral sand - the original UTP of the product - and the "marine life" positioning of the product are reflected in the design of the bottle and label of Marlin vodka, developed by the Allberry. 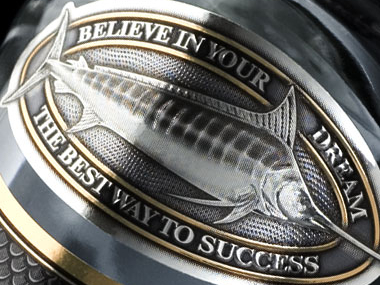 In the upper part of the bottle there is a three-dimensional image of the Marlin fish itself in the frame of the inscription "Believe In Your Dream - The Best Way To Success". Both the bottle and the label abound in volume elements, embossing, creating impressive visual and tactile effects. In general, all components of the product (bottle, label, necklace, cap) are implemented using the most modern production technologies. Thanks to this, the product looks elegant, bright, but at the same time not sophisticated; has a stylish and premium appearance.